While cruising at an altitude of 7,500 meters, the engine number four failed. Unable to determine which of the right engine failed, the crew shot down both engines and feathered both propellers. Control was lost and the airplane banked right and entered a dive. The aircraft reached a rate of descent of 1,800 meters per minute (30 meters per second). 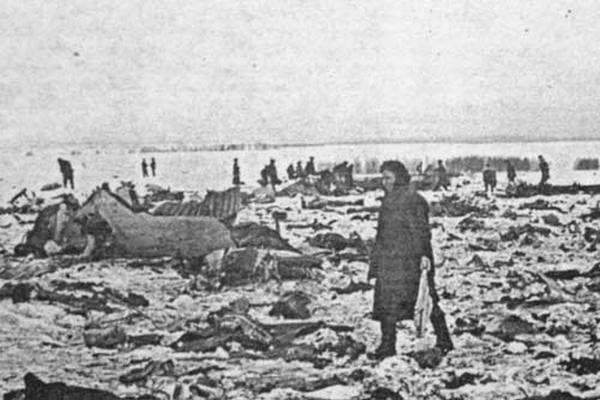 The ailerons were sheared off and after passing through the last cloud layer at an altitude of 200 meters, the crew elected to regain control but the airplane struck the ground at a speed of 650 km/h and crashed in a snow covered field located 3,5 km southeast of Urakhcha. 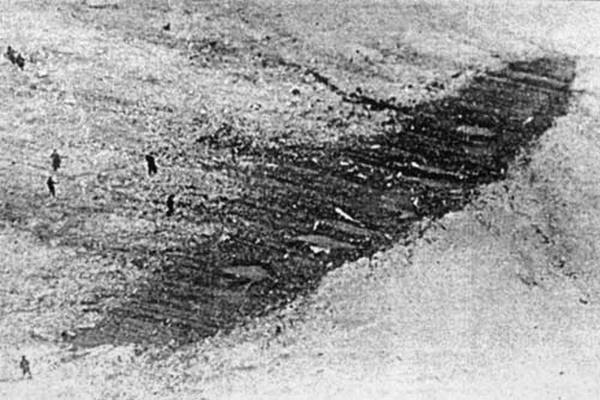 The aircraft disintegrated on impact and debris were found on 250 meters width and 800 meters long. Both right engines were found 600 meters away from the point of impact and elements of the ailerons were found some 12 km from the crash site. It was determined that both right engines were not running at impact while both left engines were turning at full power. The accident was not survivable. Failure of the pitch control mechanism on the engine number four, which caused severe drag and a loss of control.